FROM THE LAB: We’re enrolling now for our Modular 101 and Maths Courses! 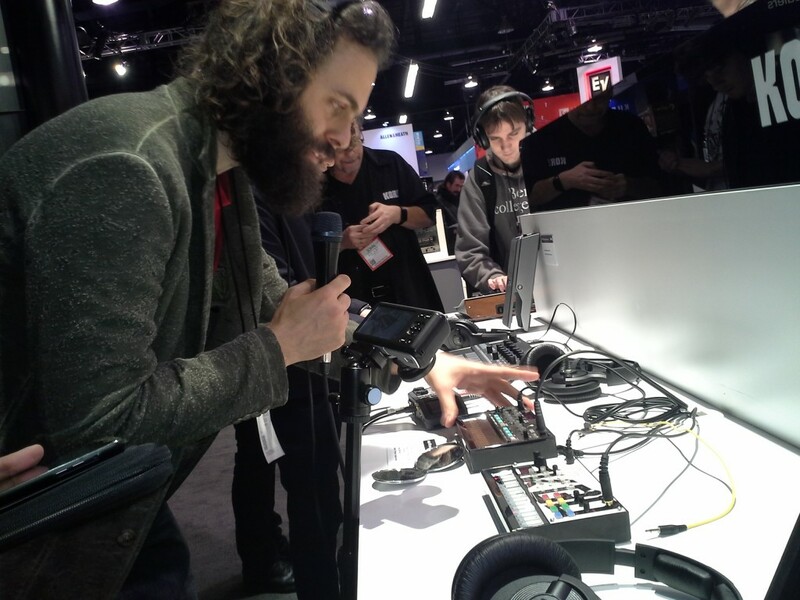 With so much coverage of the different NAMM events from other blogs and music tech resources, I made the decision not to obsess over video interviews and reporting from the event. Check out some of our colleagues at @sonicstate @CDMblogs @flux302 @cuckoomusic and @bboytechreport, they are all providing great content. Yet another site doing booth by booth interviews seemed like overkill. That said, I will have wrap ups and continuing info coming in the next days/week/month, but I wanted to lay out some points about NAMM and what I saw. What can be said about NAMM that hasn’t already been said? There is a certain mystique about it, mostly based on the fact that the event is closed to the general public, suggesting some exclusivity. But the reality is a little different than the gear lust fantasy. How can I put this delicately… Imagine making a trip to a busy Guitar Center on a Saturday morning. Now imagine that, times 10,000. On LSD. And then Sinbad walks by (yes, that Sinbad). The fun part isn’t the gear, though there is some fantastic material rolling out soon. It’s the opportunity to meet pretty much everyone who has made every piece of gear you love and see just how enthusiastic they are about their work, that makes this event so special. We’ve all seen the Bastl Instruments booths from past events, we’ve seen Cuckoo‘s infectious videos, we’ve seen Tony from Make Noise discussing his modules, but to meet these gentlemen and feed off of the reflective glow of their innate energy for what they do… That is another experience altogether. The cooperative effort on the part of all of the Modular companies was nothing short of heart-warming. Chatting with Dieter Doepfer, he seemed humbled by the growing beast he had created. It was quite a sight. 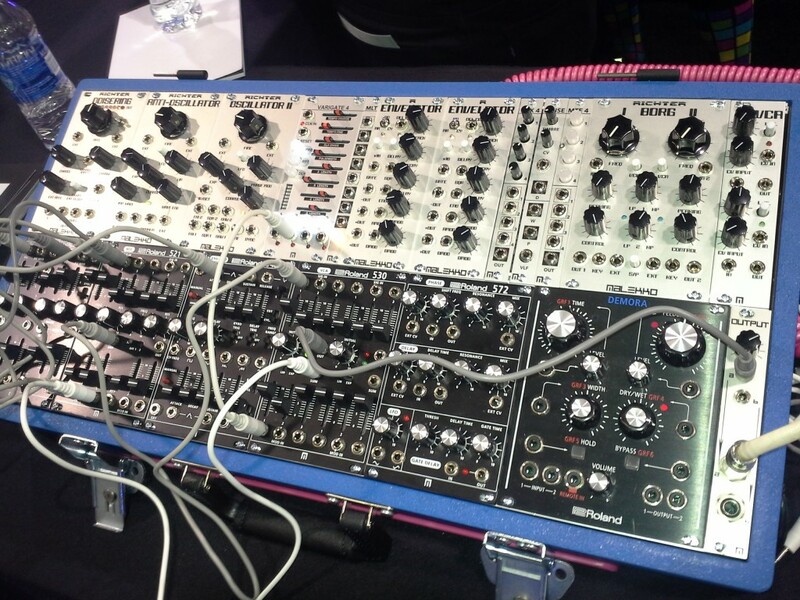 A space on the main convention center floor was carved out for the large, shared booth that represented about 95% of the modular and Eurorack gear on display. Spearheaded by WMD, the space was a bubbling cauldron of bleeps and zaps. It was a constant buzz, and being right at the front door to the convention space only helped the foot traffic. 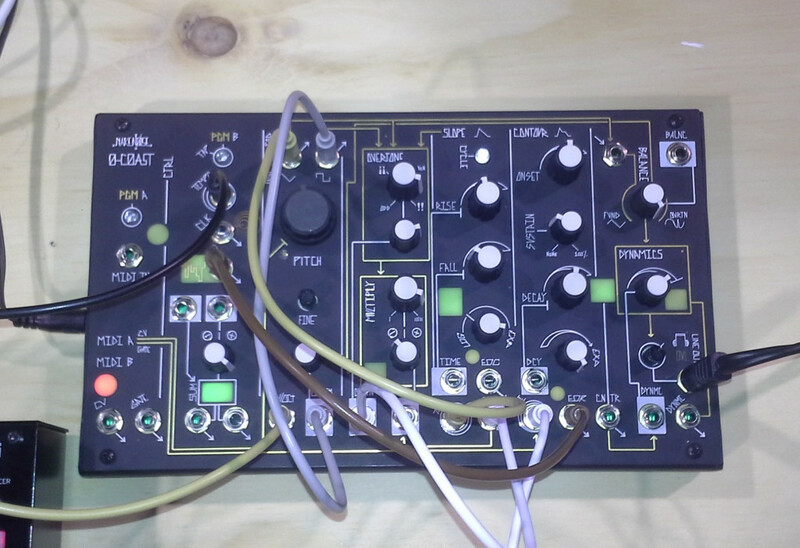 While modular synths had made it out of the darker corners of the NAMM basement hall prior to this year, there is a noticeable increase in attention from outside of the modular community. There are so many modular synth companies represented, so many collaborations, so much communal support. It’s a testament to these determined small businesses who are growing this industry, and it is so exciting to witness. I’ll have more details about the individual booths and the modules that stuck out in the coming days… If you’d like to see what I saw that really grabbed me, check out @Computo on Instagram. Want to know more about Modular Synthesis? Check out our Courses!